Since 1925, Wallace Welch & Willingham has been providing quality service and unwavering commitment to our clients and community. In order to provide the best coverage at the most affordable rates, we represent an extensive list of “A rated” insurance companies. From being named a Top Place to Work in Tampa Bay to earning a Brighthouse finalist award, we are proud of our positive business impact. And by working in a completely solar-powered building, we know we are doing our part to help the planet. We know one size doesn’t fit all, which is why we provide insurance products to fit the specific needs of both businesses and individuals. 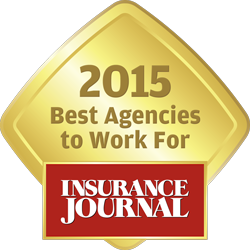 We feature commercial, homeowners, auto, boat and life insurance, as well as employee benefits coverage. As a risk management solution, Wallace Welch & Willingham provides The W3 Advantage, a valuable resource that assists clients with workplace safety, loss control, and legal compliance. Our dedicated risk management team provides tools and expertise to help our clients control costs by avoiding, preventing and mitigating losses that could threaten business success. Since 1925, we’ve kept our moral compass polished and fine-tuned. Our core values – Integrity, Accountability, Success and Passion – guide all of our company decisions. In addition, our associates seek to turn every client into a “Raving Fan” by providing superior customer service.